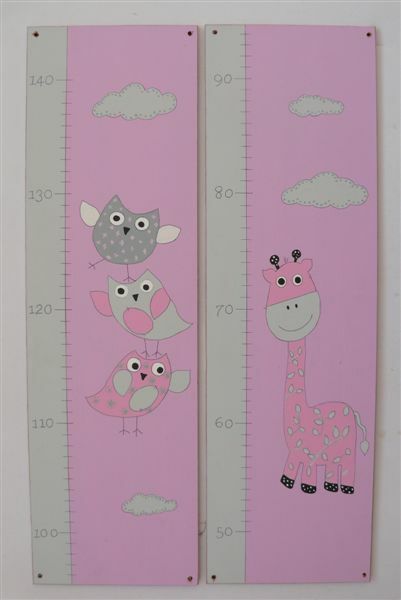 This growth chart is painted in pastel pink with pink and grey birds and giraffes. Can be painted in any colour and design. This product was added to our catalog on Wednesday 20 August, 2014.